Every city and county jail has its own process for posting bail. Although, most jails’ process of posting bail is similar. No matter which jail your family, friend, or co-worker is incarcerated in, we will be sure to explain the process in detail. When you call USA Bail Bonds and speak with a licensed agent, we will answer all your questions regarding bail or the bonding process, because we believe you have the right to know! Not only are our services professional, but confidential too at USA Bail Bonds. Whether you are in need of a bondsman to post bond for matters regarding misdemeanor, felony, traffic, criminal or an appeal, give us a call so you can speak with an agent today. Our top priority is to provide services of professionalism and confidentially with everyone. USA Bail Bonds offers services to the Chesterfield County Jail. If you’re in need of a bondsman for the Chesterfield County Jail, look no further – we have agents who service the area of Chesterfield. Our agency posts bail regularly at the Chesterfield Jail, and our agents are familiar with the bail bonding process. Call USA Bail Bonds for bail bonds Chesterfield VA.
First: Call 804-496-8926 for an agent to answer your questions. The agent will need some information from you in order to start the process of posting bail. Love one incarcerated? Need bail? Look no further, for our services are 24 hours and cover Central Virginia. 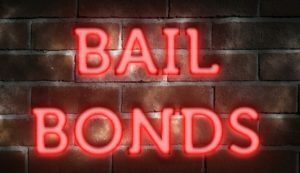 Whether you are in need of a bondsman for Chesterfield, Colonial Heights, Hopewell, Richmond, Henrico, Hanover or another county or city - call our bail bonding service and speak with an agent today. We are here to help answer for bail bonding questions in a professional and courteous manner. We provide agents knowledgeable about the process of bail and laws regarding bail bondsman. Welcome to USA Bail Bonding LLC. We guarantee respectful, professional, and confidential services to all. Our services are, but not limited to, appeal bonds, misdemeanors, felonies, criminal and traffic matters. We service Richmond, Tri-cities, and central Virginia. Visit service areas.